The Vavilon Translations agency provides top-quality and most cost-effective translation conditions. In our agency, your documents are not mere papers – they represent a business challenge for us and steps for mutual advancement in our business performance. The Vavilon Translations agency offers to ie services of proofreading. We respond to your enquiries in the shortest possible period of time, because we respect your time. a) personally: in cases where the translation needs to be certified by a sworn-in court interpreter, the client should bring to the agency the original copy of the document (certificate, attestation, other similar documentation, and alike) or a certified copy in the original language to be translated (diplomas, personal ID card, passport, health insurance card, employment record, student booklet/course records, decisions, and alike), so that the agency can properly bundle, tie up and prepare the documents within the legal regulations. b) in electronic form: in cases of translations with and without certification of the sworn-in court interpreter, the client may submit the documents via email as well. When ordering a translation service at the Vavilon Translations agency, the client and the agency agree on the terms and conditions as well as on the characteristic features of the translating process (manner, technique, deadline, etc.). On that occasion, the client is provided with a confirmation related to the agreed terms and conditions all aimed at avoiding any possible misunderstandings and pleasant and satisfactory working process. Based on the agreement, the Vavilon Translation agency aspires towards meeting the clients’ demands in the best possible manner as well as their needs and requirements. Payment for the ordered services is performed in the business premises of the agency wither in cash, by payment through a payment slip/postal payment order or to the business account of the agency. The information on account numbers and payment instructions can be obtained by contacting our agency. The Vavilon Translations agency undertakes to keep all information from the received documentation as confidential throughout the translating process and to keep the same as a secret. The agency is obliged to allow the insight into the information only to the interpreters or translators who work on the given documents. In case of cancellation of the order by the client, such notification shall be sent in electronic form not later than an hour (1 hour) upon the ordering of the job. The order shall be deemed as cancelled as of the moment the legal entity gets in touch with the employees of the agency who work on its document(s). Should the client cancel the order upon expiration of 2 hours, then the client undertakes to settle the possible damage arising from the commenced translation of the material up to that moment. In case of a complaint related to the translation, the Vavilon Translation agency will be gladly of assistance in making corrections to the translation of the given document in the shortest possible period of time and without any compensation. The client is entitled to submission of a complaint not later than 5 days after the completed document had been returned to him. Should the client file a complaint after this deadline of 5 days, the claim shall be charged as a new translation of the document based on the official rate-card of the Vavilon Translations agency. Our agency exists to satisfy the clients and to raise the success degree of our performance to a higher level. The delivery of the translation with the Vavilon Translations agency certification is performed either by personal takeover by the client or courier service delivery. Personal takeover is performed in the offices of the agency from 09am to 05 pm on working days. Courier delivery is performed through the Post Express company. In case of urgent requests for translations, and in accordance with mutual agreement, we also work on weekends. When submitting documents for translation, it is required to bring the original copy for review and a certified copy of the document. 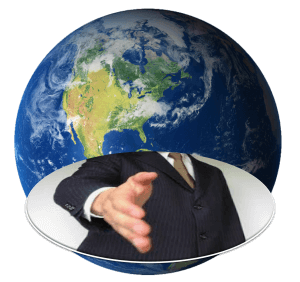 The Vavilon Translations agency offers to its clients general and optimum terms and conditions for translations with and/or without certification of a sworn-in court interpreters, oral interpretation and translating, as well as the services of proofreading. Not later than 2 hours upon receiving the documents, the Vavilon Translations agency is obliged to give a response to the submitted order of a legal entity. Within the offer, the translation agency negotiates the terms of the job order performance such as: scope and price of the documents’ translation, deadline(s), manner of payment and alike. Once the job order is confirmed, the agreed terms are double-checked in order to avoid any mismatching/conflict and in order to have the job at hand completed as accurately as possible. The Vavilon Translations agency shall not be able to meet any of the agreed terms and conditions (delivery, deadline) only if unforeseen events occur (state of emergency, bad weather conditions, illness, power blackouts, etc.). In such circumstances, the translation agency is obliged to notify the client as soon as any of the above indicated events occur, which is extremely rare. The Vavilon Translations agency charges the translating services rendered to legal entities through the agency’s account. Payment is performed in advance (one half of the total price in advance) via proforma invoice. Upon agreed service, a contract can be signed between the Vavilon Translations agency and the client regarding confidentiality. Such contract is binding for our interpreters and translators as well as for the agency with respect to keeping all the information from the translation as confidential. In case of cancellation of the order by the client, such notification shall be sent in electronic form not later than 2 hours upon the ordering of the job. The order shall be deemed as cancelled as of the moment the legal entity gets in touch with the translator/interpreter who works on the document(s). Should the client cancel the order upon expiration of 2 hours, then the client undertakes to settle the possible damage arising from the commenced translation of the material up to that moment. In case of a complaint related to the translation, the Vavilon Translation agency will be gladly of assistance in making corrections to the translation of the given document in the shortest possible period of time and without any compensation. The client is entitled to submission of a complaint not later than 5 days after the completed document had been returned to him. Should the client file a complaint after this deadline of 5 days, the claim shall be charged as a new translation of the document based on the official rate-card of the Vavilon Translations agency. Our translation agency is not liable for errors in the source/original document.